Have I ever told you how much I love Halloween? It probably stems from my childhood, after all, my mother is the queen of Halloween. Every year she would have one of the most decorated and sometimes scariest houses on our block. From tombstones to hay bales, fog machines to creepy music and everything in between. Growing up, my mom made a lot of our costumes. Sometimes she would make them from scratch using fabric. Other times she would put together clothing and accessories to create a costume for us. My mom is pretty creative, I like to think she passed that down to me. I love that as a mom I now get to experience Halloween through my children’s eyes. Decorating the house, carving pumpkins, and making our annual trip to Value Village to get our costumes. These are the moments that I hope my kids will remember! 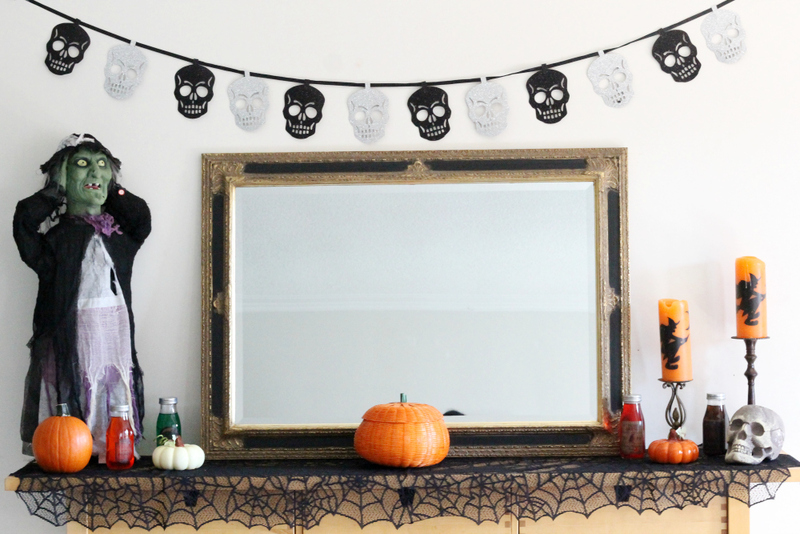 This year I set out to get Halloween costumes for my children and new Halloween decor for under $100. We loaded up the van with the kids and headed out to Value Village to see what we could find. 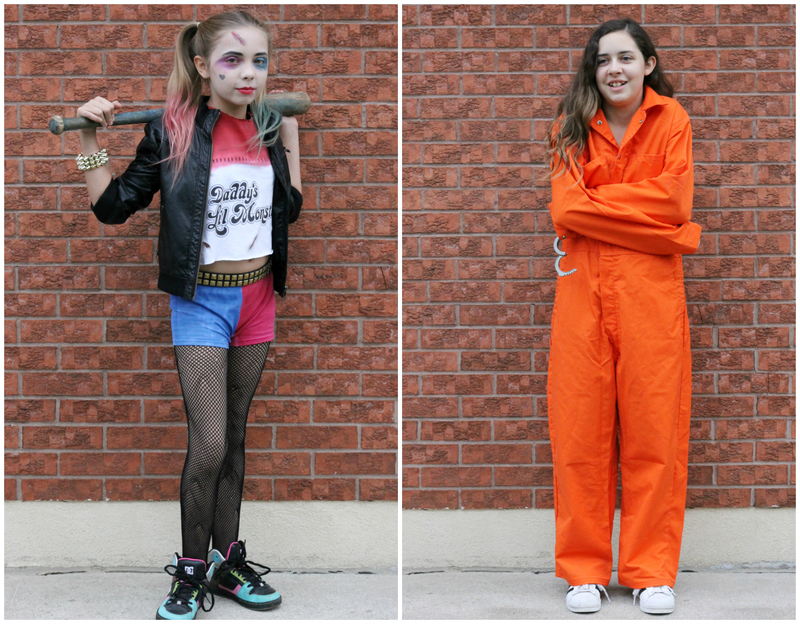 Hailee was sure she wanted to be Harley Quinn from Suicide Squad for Halloween. We first checked out the large selection of new costumes and accessories to see if there was anything we could use for her costume. 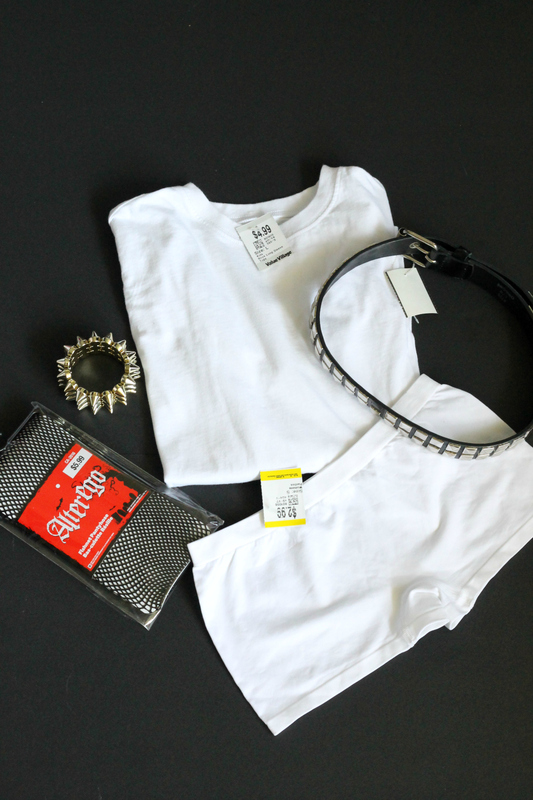 We found some awesome new fishnets along with some gently used shorts, a tee, belt, and a bracelet. No luck on the bat at Value Village but I managed to get my hands on one from a friend. This was the beginning of my big DIY project ahead to turn Hailee into Harley Quinn. Abby is in high school now and while she is in that transition stage to a young adult she still enjoys Halloween. She went into Value Village with no clue what she wanted to be. She searched the new costumes and it sparked an idea of being an inmate from Orange Is The New Back. 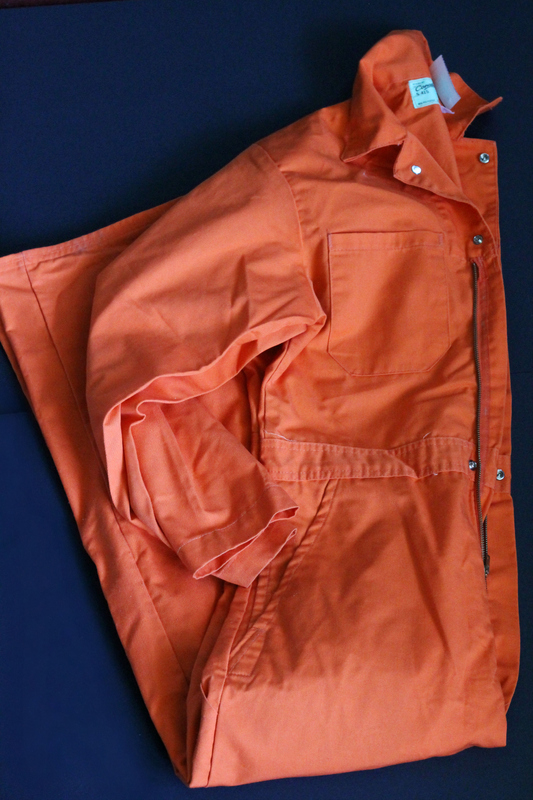 We popped over to the used costume section and scored this awesome orange jumpsuit. Bella was in toddler heaven the minute we walked into Value Village. She immediately found a Dory costume, brand new, and the retail price was cheaper than other stores we had been to. We popped it into the buggy. In true toddler fashion, she then found a Minnie Mouse costume and of course wanted that too. While I was at the checkout I realized the Dory costume while adorable would be too big on her this year, so we went with the Minnie Mouse costume. 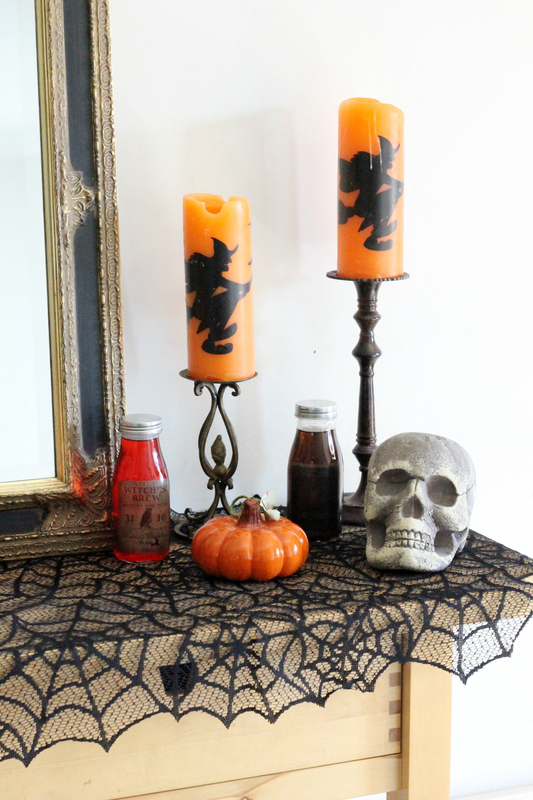 Once we had the costumes figured out I needed to find some new decor pieces to deck out my front entrance way table. I popped over into the housewares section and found some winners. The two candle holders were only $1.99 each and they are so vintage looking. The skull was only $0.99 and the jars were $0.25 each. I stole the orange candles, as well as the orange and white pumpkins from my mother’s house downstairs. I used some glass tattoo’s on the jars and filled them with coloured water for a spooky look. The lace runner along with the gorgeous skull banner were brand new items at Value Village. Last but not least the wicker pumpkin was only $1.99 and I may or may not have stashed a bunch of chocolate bars in there that the kids don’t know about! Over the last week, I have been up to my elbows in fabric paint and Sharpies creating Hailee’s costume. I love getting creative and I think Hailee’s Harley Quinn costume turned out amazing. Had I bought a brand new jail jumpsuit Abby’s costume would have cost me over $30, however, the used jumpsuit was only $14.99. A Harley Quinn costume would have cost me upwards of $60 new. Using the pieces we picked up from Value Village paired with pieces we already had at home I only spent $19. 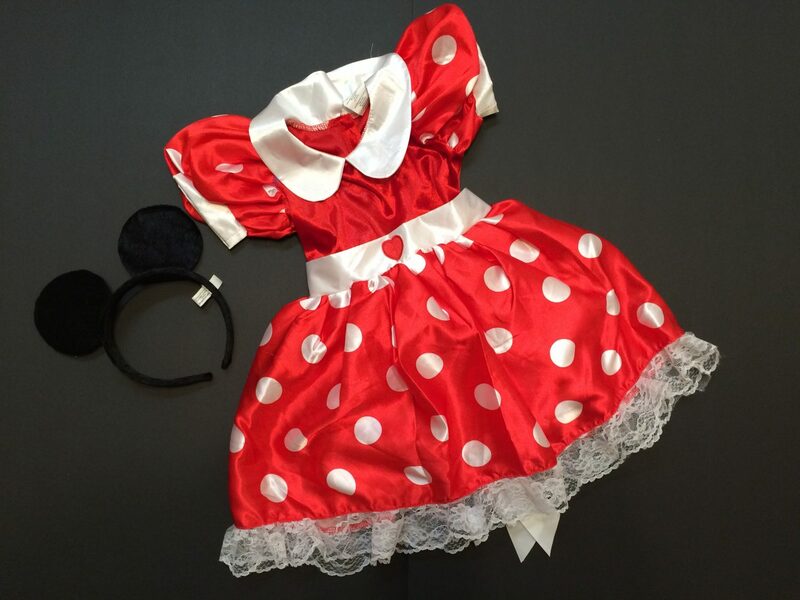 Bella’s Minnie Mouse costume was $21.99 was brand new. I didn’t mind spending on hers as I already had two DIY’s on my hands. The new and used decor I picked up totalled $20. In total, I spent $88.16 on the costumes and new Halloween decor! Value Village is a hot spot for all things Halloween. 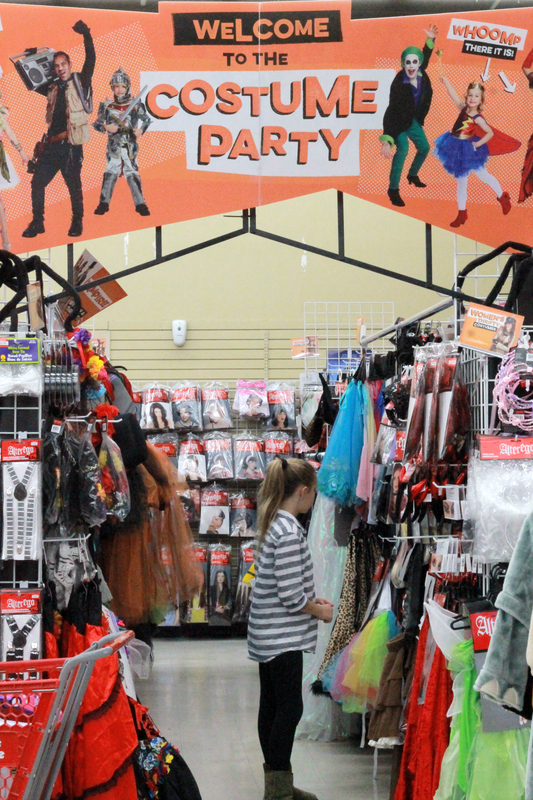 They have an endless selection of new and used costumes and decor to keep you on budget. There is still lots of time left for you to go on a hunt and see how much you can save! Stay in the loop with all things thrifty by following Value Village on Facebook, Twitter, Pinterest and Instagram. 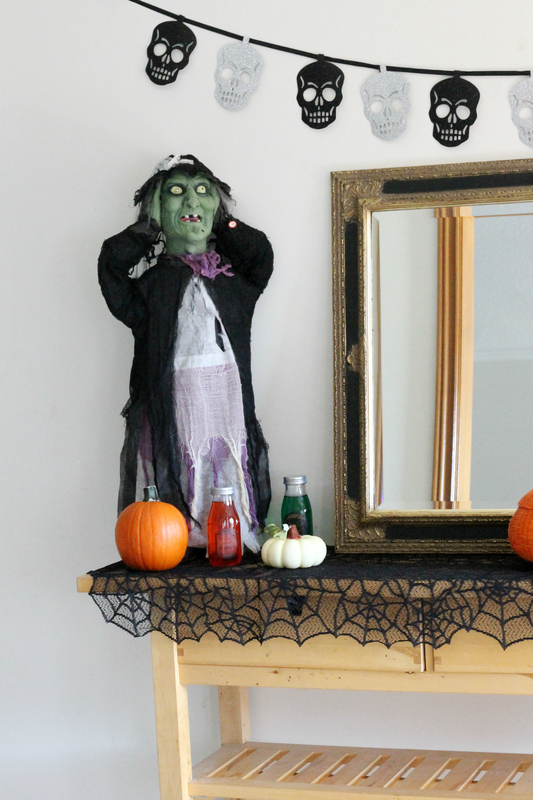 Also, check out the #ThriftorTreat hashtag on social media for all things Halloween! 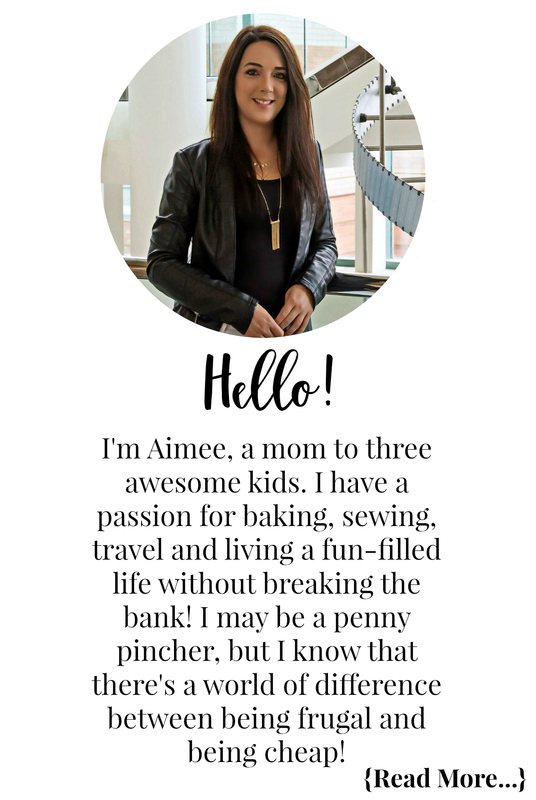 This post is part of the YummyMummyClub.ca and the Value Village Halloween #ThriftorTreat sponsored program. I received compensation as a thank you for my participation. This post reflects my personal opinion about the information provided by the sponsors. Wow, those are seriously great finds. I LOVE the little Minnie Mouse costume. 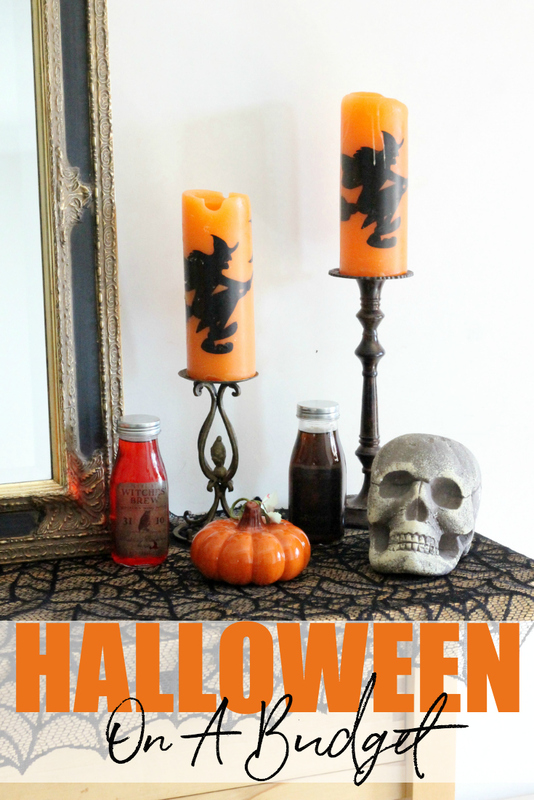 We have a Halloween discount center here similar to Value Village and the prices are budget friendly. Great finds! Love the Harley Quinn costume, and although it is a popular costume no one else is going to have one just like hers! My son picked out a ninja costume from Value Village this year. It as only $14, and then we bought an accessory pack of swords. The whole thing was still under $25 which is great in my books. When you build your own costume, it really adds to the fun, doesn’t it?! I absolutely LOVE the costumes!!! We’ve been using what we have around here for Halloween costumes that last few years, but this year we actually went out and bought costumes. It was so much fun!! P.S. Love all the Halloween decorations! Look at these costumes and decorations! They are absolutely stunning. I go to Value Village all year long! I found lots of treasures in there. The decorations and costumes are really great. It’s amazing the things you can get at a second hand store. Halloween is also my favorite time of year ,everything goes! I’ve been to Value Village a few times and my son has bought Halloween deco and costumes for the kids there too.